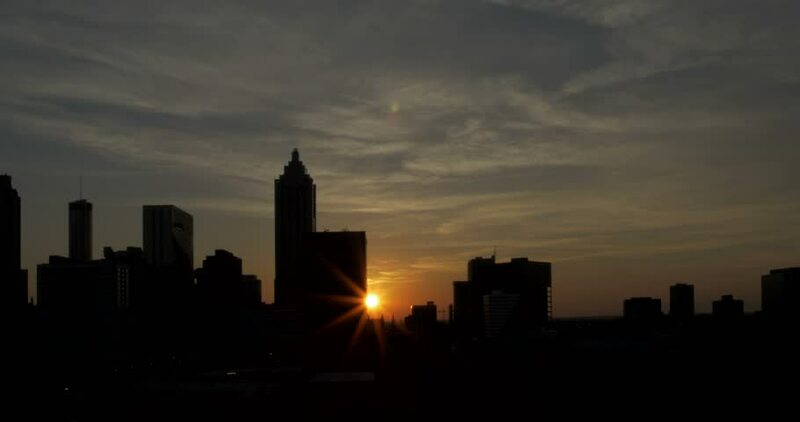 hd00:25Atlanta City Skyline Backlit Wide. a wide shot of Atlanta City Skyline just after the sunset. traffic flows in and out of the downtown area. hd00:06silhouette bangkok city on sunset time.